happy memories are made for generations to come. 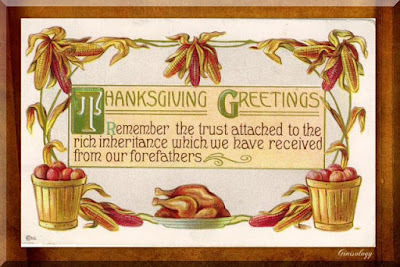 Gini, best wishes for a wonderful time of fellowship with your family this Thanksgiving! Sweet poem, by the way. Seems almost like a hymn. Thank you, Jacqi . . . it actually is a hymm. I took it from a book that a dear friend gave me many years ago that is all about Thanksgiving . . . that neat book sits on my table every year. Happy Thanksgiving to you and your family Jacqi. Hope you had a wonderful day. Happy Thanksgiving, Leah! Hope you had a wonderful time with family and friends.